There are certain events in life which hold sentimental values to everyone like your birthday, the day you graduate, your parent’s anniversary and then there’s one thing that tops all of these – the day of your ownWedding. The ecstasy of emotions that rush through a person’s heart just at the thought of it says a lot more than words could put meaning to it. You spend months, sometimes almost half a year preparing for the day that not only is the most important and special day of your life, but also the marking of a date that turns your whole life into something entirely different. 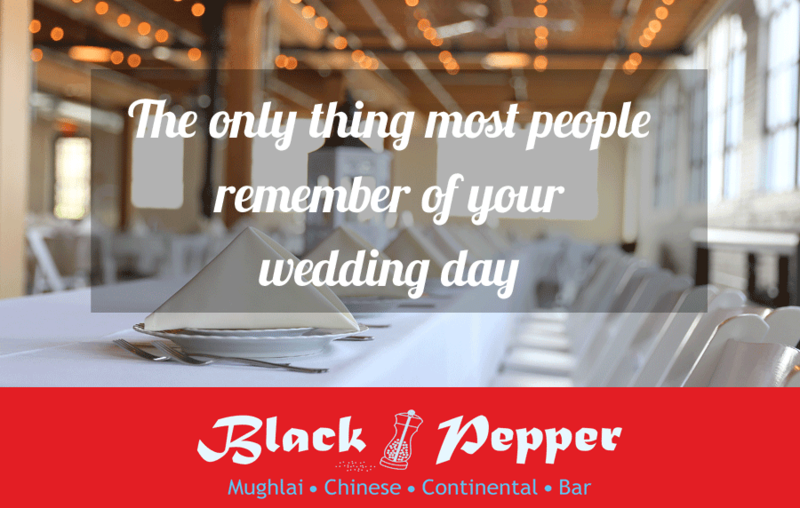 What’s the most important part of your wedding? While you are busy being swamped with rituals one after another, most of your guests are busy somewhere in the food stalls, getting the best fun out of the day. It’s not uncommon to know a few family members who are high on pleasure seeking, yet can never be satisfied. The worst part is, a lot of these people are those whom you forget the second after they give you blessings for a happy married life. At the same time, these are the people who will never forget how Paneer Butter Masala tasted a bit sweet that day. Almost years later, when you meet during another family occasion, they would never forget to remind you could have kept a better food caterer at your wedding, because their cravings for Pao Bhaji just weren’t satisfied enough. The funniest part? They don’t remember your wedding date! But they do remember the less variety of desserts served after the meal. There’s always something that makes a special day even more grand, and that a good meal. Don’t give even a slight opportunity to anyone to demean your special day just because they couldn’t be satisfied enough. In fact, higher their expectations for the next wedding they have to go to. Make a choice to let people cherish your wedding by offering them what they come for – amazing food and amazing you.